Xbox Live coming to Android, iOS and more? Microsoft is looking to build on the success of 2011's biggest selling console, by rolling out its popular Xbox Live gaming platform to Android and iOS devices. Xbox Live games are currently only compatible with Windows Phone devices, but Microsoft has realised that its huge fan base will be using a range of mobile devices. Microsoft has already released a Xbox Live app for iOS, but minus any gaming features. 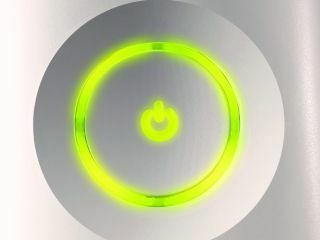 A spokesperson for Microsoft said; "While the Xbox Live experiences and games always work best on the Windows platform, we understand that some Xbox fans may be using other types of devices. To satisfy that need, we are working to extend a few of our Xbox experiences and titles to other platforms." This news will be music to Xbox owners' ears, as Microsoft look to build its gaming platform on the two biggest mobile operating systems in the world. However Microsoft could be shooting itself in the foot as the Xbox Live gaming feature is a unique selling point for its Windows Phone handsets, but with plans to branch out to other operating systems sales for Windows Phone devices may decline. Is Microsoft willing to sacrifice its Windows Phone OS in light of greater dominance in the mobile gaming arena and increased revenue via its Xbox Live channel? Microsoft says "Xbox Live experiences and games always work best on the Windows platform", but we're not sure if this is a big enough draw for consumers to go down the Windows Phone route when other options are on the table.